♥ Hika Mayra ♥: read this..
Osama bin Laden has been killed, and the United States is in possession of his body, President Barack Obama announced to the nation Sunday evening, saying "Justice is done." The United States got a lead on bin Laden's whereabouts last August and Obama ordered a U.S. military action that resulted in a shootout that killed the terrorist mastermind in a compound in Pakistan, Obama said from the White House. The stunning news of the death of the al Qaeda mastermind comes almost 10 years after the September 11 terrorist attacks. The firefight that killed Bin Laden came about as the result of U.S. military action. 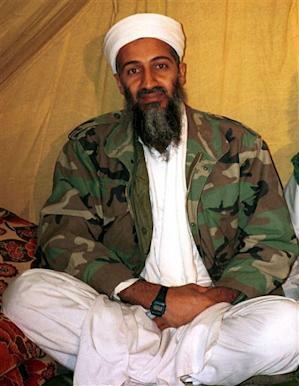 U.S. forces shot bin Laden in the head in a mansion outside the Pakistani capital of Islamabad, CNN and CBS reported. No U.S. personnel were killed in the action, Obama said, and civilian casualties were avoided. Bin Laden's body is no longer in Pakistan, CNN further reported. A full autopsy will be performed; the United States collected DNA samples to confirm the body belongs to bin Laden. News networks were notified around 8:30 p.m. that Obama planned to give a highly unusual late Sunday evening address to the nation on an unspecified national security matter. The presidential address was delayed because Obama and CIA Director Leon Panetta were calling members of Congress to notify them of the extraordinary developments. Announcement of bin Laden's death comes on the eighth anniversary of former President George W. Bush's controversial "mission accomplished" statement aboard the U.S.S. Abraham Lincoln after the March 2003 U.S. invasion of Iraq. But Bush congratulated Obama and the men and women of the U.S. military and intelligence community for the extraordinary achievement Sunday. "This momentous achievement marks a victory for America, for people who seek peace around the world, and for all those who lost loved ones on September 11, 2001," the former president said in a statement, adding that Obama had called him Sunday to tell him the news. "The fight against terror goes on, but tonight America has sent an unmistakable message: No matter how long it takes, justice will be done."